A leaky fireplace is something that you need to repair as soon as possible to prevent ongoing damage to the unit. Sometimes the most difficult part of this repair is finding exactly where the source of the leak is. 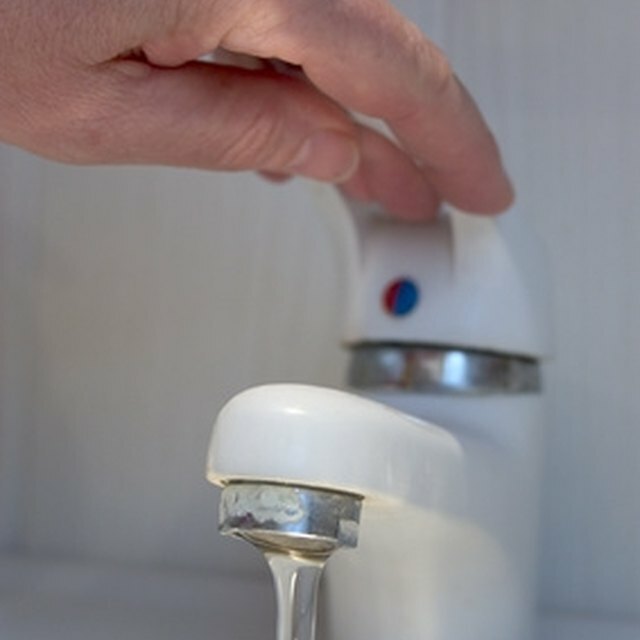 Monitor the leak after you've repaired it to ensure that the repair is holding. If you notice moisture in the fireplace, you need to search for the leak. A leaky fireplace is something that you need to repair as soon as possible to prevent ongoing damage to the unit. Sometimes the most difficult part of this repair is finding exactly where the source of the leak is. Monitor the leak after you've repaired it to ensure that the repair is holding. Sometimes water penetrates through the brick of the chimney itself and leaks into the fireplace. A siloxane-based sealant or one that operates on a similar principle should be used on exterior masonry to prevent moisture from leaking into the fireplace. These sealants are one-way products. This means that they prevent moisture from getting into the fireplace but allow any that accumulates on the interior to escape, which is critical. Examine the mortar joints between any bricks that are part of the fireplace construction that could be contributing to leaks. Start with the chimney, but also examine the fireplace itself. If the mortar is crumbling and water is leaking in or out of the joint, it needs to be repointed. Scrape away the old, crumbling mortar to a depth of 3 inches. Ian Cramb, a fifth-generation master mason, suggests that you fill the gaps with a mortar made of a part each of lime and cement and seven parts of sand. Fill in the final gap with a finishing mortar that contains one part less sand and only three-quarters part cement. Often, the point of entry for moisture leaking into your fireplace is the roof. First of all, always ensure that your chimney is fitted with a chimney cap that keeps snow and rain out. Also, look for damage around the flashing and the joint where the chimney meets the roof, because damage there could lead to a leak into the fireplace. If you've had a slow leak for an extended period, you might notice efflorescence on your fireplace. This is what happens when moisture soaks through the masonry joints and leaves salt on the surface of the stone. The salt causes the white stains that mar the appearance of your fireplace. If your fireplace has efflorescence, you can wash the stains off. However, look for a leak and take measures to reduce moisture in your fireplace to prevent ongoing problems.